You should probably be playing video games on your microwave or doing absolutely anything other than watching it slowly count down while your leftovers are getting nuked. 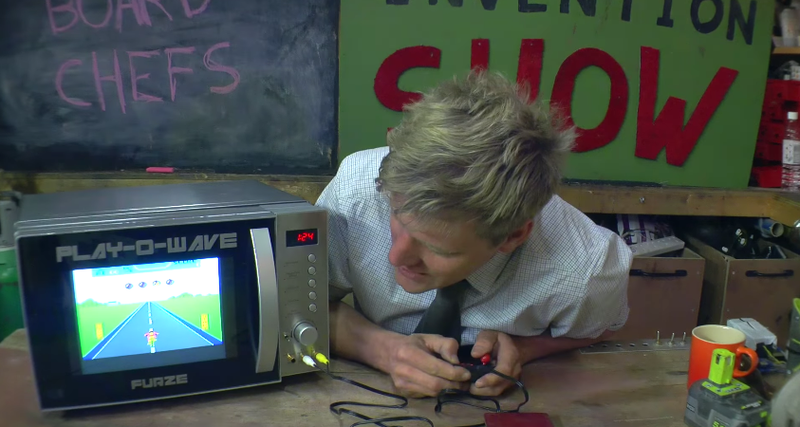 In the most recent episode of his Invention Show on YouTube, gadget stunt man Colin Furze revealed the “Play-O-Wave,” a fully functioning microwave with a screen and component video input built into it. Furze played a retro racing game stored on a controller with its own component cables hooked directly into kitchen appliance. Unfortunately, because microwaves have a tendency to not play nice with other electronics, Furze had to build the display onto front of the door, effectively doubling its thickness, rather than switching the glass out one for one. To prove the Microwave would both play games and cook food at the same time, Furze tried to race the countdown as he microwaved an onion smothered in peanut butter cause jokes. The working prototype is proof, however, that you can (and should) add screens to just about everything. While he tested with a forgotten, plug-and-play arcade game, the device would work just as well with a PlayStation or as a TV. 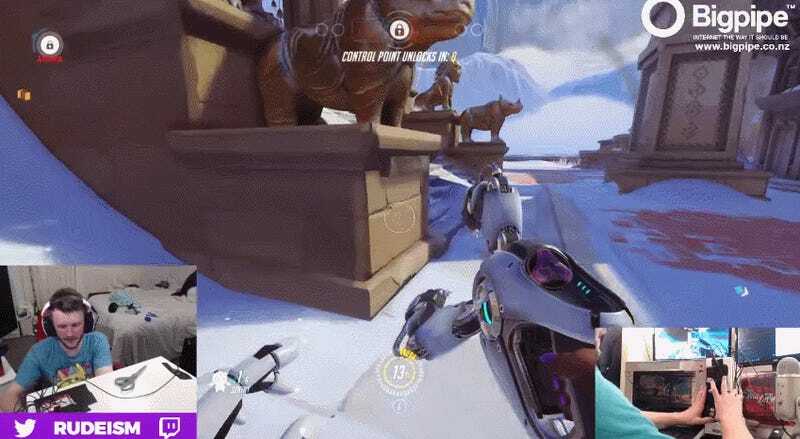 It’s a bit more straightforward and practical than actually using the microwave to play other video games, like this streamer did last year when he used one as a controller for Overwatch.